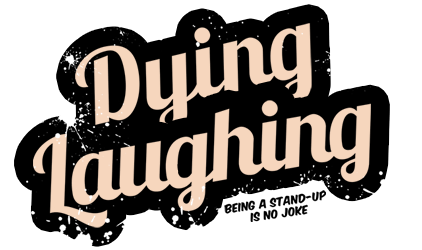 If you’re a fan of standup comedy then you’re going to want to watch this new trailer for an upcoming documentary called Dying Laughing. It features interviews with dozens of famous and popular standup comedians talking about their experiences as comics and the highs and lows that come along with it. Some of the comedians that the doc highlights include Jerry Seinfeld, Chris Rock, Cedric the Entertainer, Amy Schumer, Kevin Hart, Sarah Silverman, Steve Coogan, and the late Garry Shandling. Ben had a chance to see the movie, and as you’ll see in the trailer, he called it “A poetic, brutally candid examination of stand-up comedy.” Make sure to check out his full review here. A stand-up comedian is his or her own writer, director and star performer. Unlike any other art form, there is no safety net. In its singular realization, comedy thrives on a stage—often in front of hostile audiences. For most people, baring your soul and being heckled would be a life-changing trauma. For stand-ups, it's just part of the routine. Directors Lloyd Stanton and Paul Toogood achieve a startling level of intimacy in a series of riveting interviews with Garry Shandling, Chris Rock, Kevin Hart, Jerry Seinfeld, Sarah Silverman, Billy Connolly, Amy Schumer and many other masters of the comedy universe; allowing in-depth access to the emotional and psychological highs and lows of answering the call to become a comic. The film was directed by Paul Toogood and Lloyd Stanton, and it’s set to be released on February 24th. You can watch a previously released trailer for the film here.